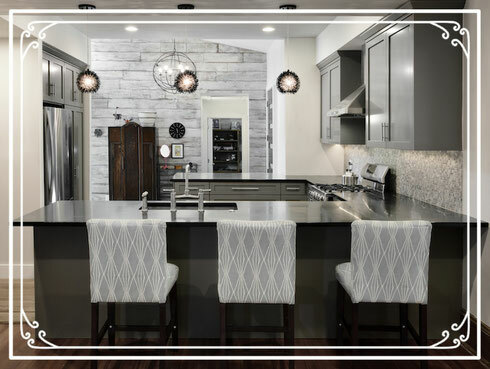 Successful kitchen remodeling requires a balanced budget. Spend too much on appliances and your cabinets will suffer. Go for the pricey countertop and you might have to cut back on lighting fixtures. But there are ways to have it all. Overlooking the cost of things like drawer pulls, cabinet liner and towel bars, can cost you a pretty penny. Creating a budget for accessories during the initial stage can save you a lot of headache later. A remodel is a massive undertaking. Unless your daytime job is as a general contractor you may want to leave this one up to the pros. Assistance from kitchen designers, contractors and architects is a must. Nothing is worse than wasting your time and money on a project that you’ll have to pay someone else to re-do. So-called change orders inflates the budget by an average of 10 percent. Given that the average kitchen remodel in this country costs around $28,000, that’s a few thousand bucks worth of indecision per project. Spend however long you need on the design, then stick to the plan no matter what. Our kitchens contain more electrical appliances today than ever before. The best time to evaluate, change or add the electrical outlets in your home is during a remodel. Look at all work surfaces and locations to ensure there are plenty of outlets available where you need them, and if changes are necessary, consult with an electrician. The older the home, the bigger the job and the more walls or ceilings you'll be tearing into, the greater the risk of finding expensive hidden problems that can't be ignored. Set aside at least 15% more than the estimate you've received from your contractor to keep your project on track. If you don't have it, then scale back the work or find less expensive materials so you can be prepared.